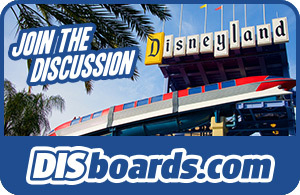 Article: How do the attractions compare between Disney World and Disneyland? Disney's Paradise Pier hotel evokes images of beaches and boardwalks, with seashore touches and a light, whimsical design. This resort did not start out as part of Disney's portfolio of hotels - it opened in 1984 as the Emerald of Anaheim and was built to support the 1984 Los Angeles Olympics before Disney purchased the property in 1995. Since then, it has undergone extensive renovations and 're-imagination'. The location of this hotel offers breathtaking views of Disney Californa Adventure, with several of the resorts 481 rooms overlooking the park. Guests staying in upper floors can even get a great view of the nightly "World of Color" show. TIP: The Paradise Theater, located next to the check in desk in the main lobby, is the perfect spot for the younger guests to sit “on the beach” and enjoy a Disney show. With pint-sized Adirondack chairs and big-screen TV that’s framed by a giant sand castle, this quiet spot is a great place for the little ones to take a break. There are 481 guestrooms, including 25 suites. The standard rooms are 350 - 400 sq. ft and offer either two queen beds or a king bed along with a day bed. Standard rooms sleep 5 people, and suites can sleep up to 6. Amenities include coffee makers, refrigerators, iron/ironing board and hairdryer. Complimentary USA Today newspapers are available in the elevator lobbies. The guestrooms have been renovated to reflect the nautical theme. The rooms are bright and breezy with Disney flair. Sand colored walls and beach ball pillows, plus a smiling Mickey perched on his lifeguard chair create a relaxing and playful atmosphere. Concierge level guests can enjoy the Beach Comber Club where a breakfast bar, twilight wine & cheese reception, soft drinks, fresh fruit and complimentary video checkout are offered. 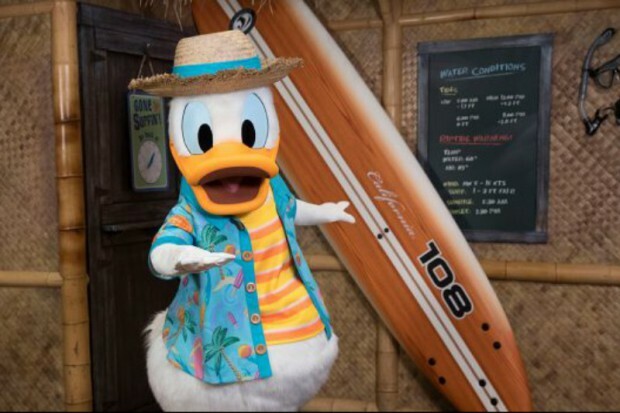 The PCH Grill begins the day with Donald Duck's Seaside Breakfast. At dinner, try the Calitalian Buffet, featuring Italian-inspired dishes from the Tuscan countryside. For guests wishing to exercise during their stay, the Mickey's Beach Fitness Center is located on the premises. The exciting rooftop pool complex continues the boardwalk theme. There’s a waterslide designed to look like a wooden roller coaster. Guests of this hotel will have a fantastic time slippin' and slidin' down “California Streamin’" into the cooling waters below. This is the longest, wettest slide at any Disneyland hotel. While this is the smallest of the Disneyland operated hotels, there’s no shortage of Disney magic at the Paradise Pier Hotel. Its great location, playful theme, wonderful amenities and outstanding service combine to make your stay an unforgettable Disney experience.